When the muscles of the quadriceps femoris group contract, they extend the knee joint, straightening the leg. (1) A message travels from the nervous system to the muscular system, triggering chemical reactions. (2) The chemical reactions lead to the muscle fibers reorganizing themselves in a way that shortens the muscle--that’s the contraction. (3) When the nervous system signal is no longer present, the chemical process reverses, and the muscle fibers rearrange again and the muscle relaxes. 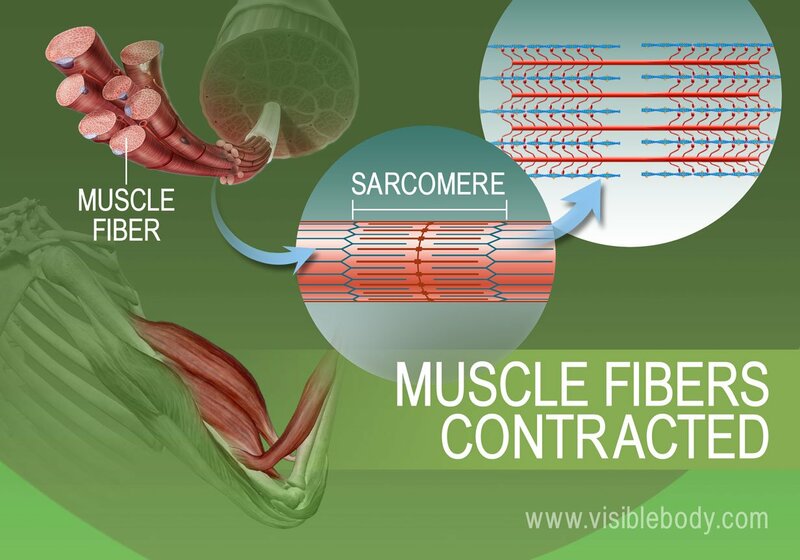 Let’s look a little more closely at the steps in the mechanism of muscle contraction. 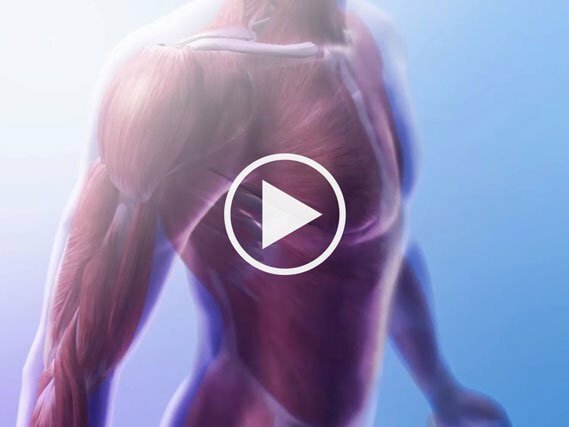 Muscle contraction begins when the nervous system generates a signal. The signal, an impulse called an action potential, travels through a type of nerve cell called a motor neuron. 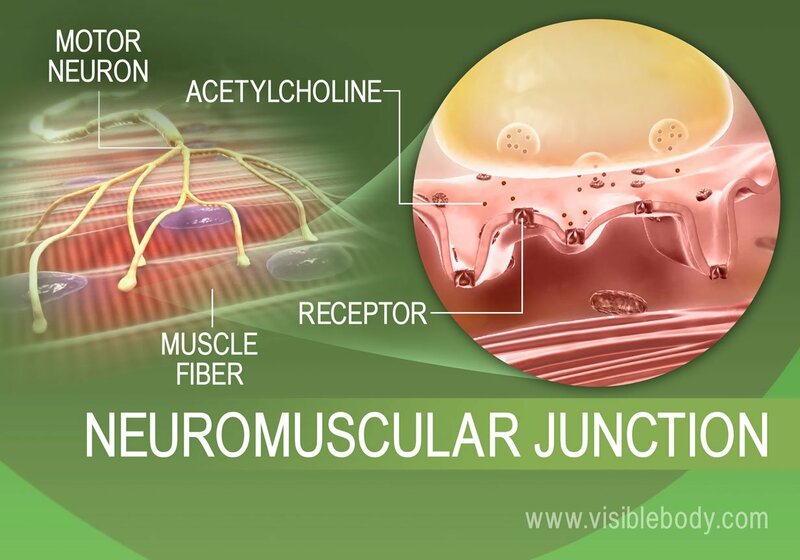 The neuromuscular junction is the name of the place where the motor neuron reaches a muscle cell. 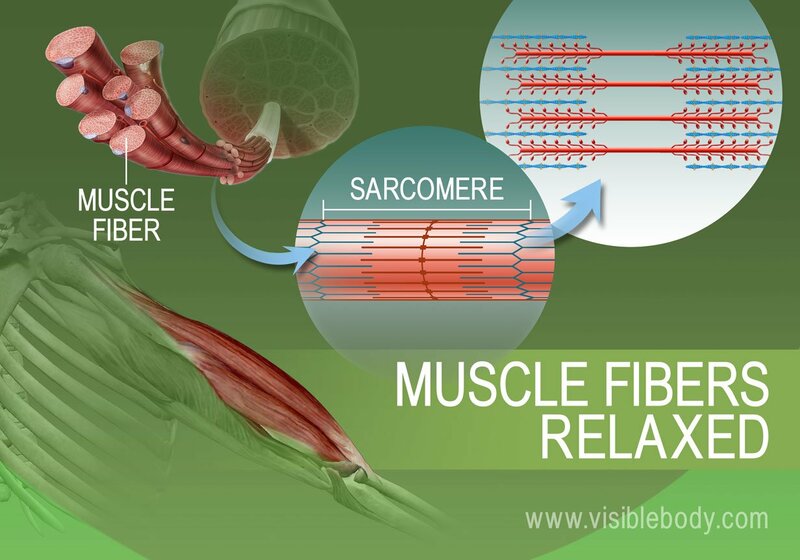 Skeletal muscle tissue is composed of cells called muscle fibers. When the nervous system signal reaches the neuromuscular junction a chemical message is released by the motor neuron. The chemical message, a neurotransmitter called acetylcholine, binds to receptors on the outside of the muscle fiber. That starts a chemical reaction within the muscle. Open channels allow an influx of sodium ions into the cytoplasm of the muscle fiber. The sodium influx also sends a message within the muscle fiber to trigger the release of stored calcium ions. The calcium ions diffuse into the muscle fiber. The relationship between the chains of proteins within the muscle cells changes, leading to the contraction. When the stimulation of the motor neuron providing the impulse to the muscle fibers stops, the chemical reaction that causes the rearrangement of the muscle fibers' proteins is stopped. This reverses the chemical processes in the muscle fibers and the muscle relaxes.